LatinaLista — There’s no debate that small business is driving the economic recovery of the nation but a new report in time for National Small Business week, and commissioned by American Express OPEN, titled 2014 State of Women-Owned Businesses Report, shows that businesswomen of color are doing their fair share of helping the economy. According to the report, women are starting 1,288 (net) new businesses per day. Latinas, African Americans and Asian women are increasingly opening their own businesses in numbers outpacing that of all women-owned firms. African American women lead the way opening an estimated 1,237,900 businesses as of 2014. From 1997 to 2014, the number of firms owned by women of color skyrocketed 216% from just under one million to an estimated 2,934,500 (compared to 68% for all women-owned firms in the same period). Businesses owned by women of color jumped from one-in-six (17%) of all women-owned firms to one-in-three (32%) in the same time period. Growth in employment (85%) and revenues (168%) of firms owned by women of color topped growth rates of all women-owned firms (10% and 63% respectively) by wide margins. Latina entrepreneurs come in second with an estimated 1,033,100 businesses as of 2014. However, Latina-owned businesses generate $71.1 billion in revenue and employ over 400,000 workers, in addition to the owner, compared to African American women-founded businesses that generate $49.5 billion in revenue and employ more than 287,000 workers in addition to the owner. It’s no surprise that the top three states having the most Latina-owned businesses are the same states that rank as the top three, identified by the U.S. Census, as being home to the most Latinos in the nation: California, Texas and Florida. 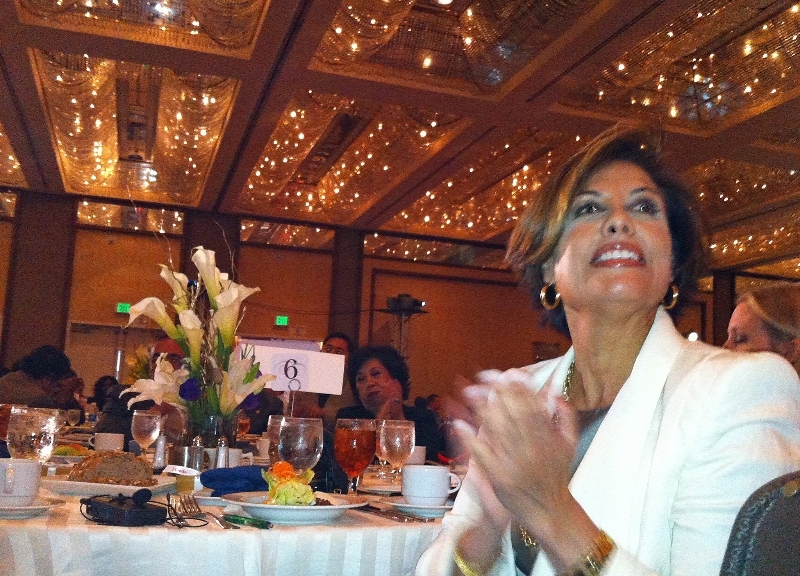 In California, there are 228,500 Latina-owned businesses followed by Texas with 190,000 and Florida with 144,600. The report doesn’t break out the types of businesses being created by Latinas but it’s clear that Latinas are seizing opportunities. “As with the very positive growth in the number and growth of women-owned firms overall, the growth in the number of firms owned by women of color is a result of several factors,” said Julie Weeks, American Express OPEN research advisor and author of the report. Rising levels of education among women, and women of color. Increasing numbers are obtaining post-secondary education. More managerial experience in their professional careers, which give more women the skills and connections that can help them in entrepreneurial pursuits. More targeted support for women starting and growing businesses – like women’s business centers and women’s business membership associations. More role models: the growing visibility of women in business ownership roles provides more inspiration for would-be female entrepreneurs. And perhaps the biggest motivating factor for Latina entrepreneurs, not found in the report, is simply the mindset of Sí se puede!